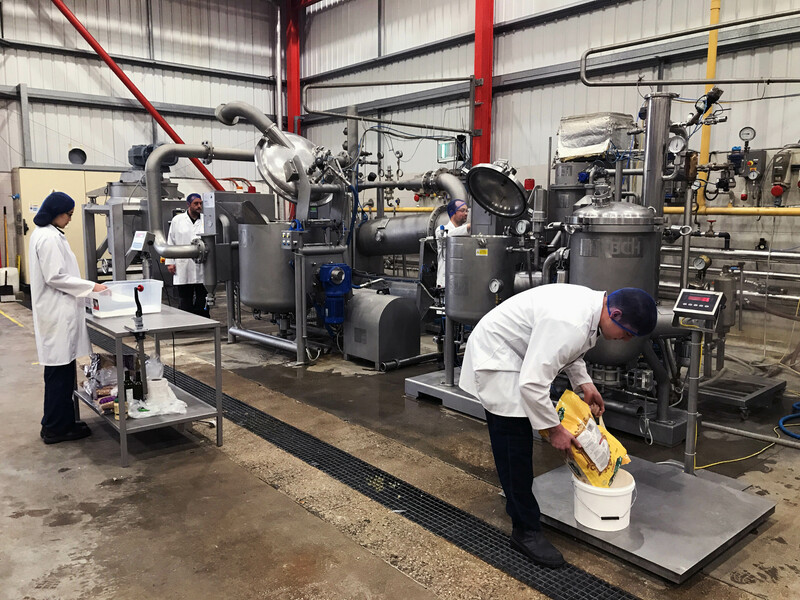 The Innovation Centre houses a range of equipment for mixing, cooking, cooling, forming, enrobing, extruding and cutting technology for the food and confectionery industries. The pilot cook cool plants are continually used both in the Innovation Centre and on customers sites to demonstrate the advantages of vacuum cooling, develop recipes and introduce new methods and techniques. Various products have been produced - sauces, soups, pie fillings, jam, and rice. Also the complete confectionery extrusion line has been used by various blue chip companies to develop liquorice extrusion, 100% fruit extrusion and caramel.